Pyongyang, April 30 (KCNA) -- The government, political parties and organizations of the DPRK issued a joint statement on Saturday in connection with the fact that another round of grim decisive showdown with the hostile forces is culminating in the victory of Songun Korea. The dozens of days-long showdown made by it with these hostile forces drew keen attention of the public at home and abroad and its aftershock is still going on. Firstly, no one should pursue an ulterior motive as regards the nuclear weapons of the DPRK which represent its independence, dignity and lifeline, now that it has rounded off its nuclear attack capability at the highest level to cope with the U.S. and its followers' threat of a nuclear war which reached an extreme phase. The warmongers' recent reckless moves to trample down the sovereignty of the DPRK and deprive the Korean people of the right to existence provided it with a golden opportunity of bolstering up its nuclear force in quality and quantity. The DPRK has got everything desired and had access to everything required and acquired the status of a nuclear power having all types of substantial means capable of successfully coping with the U.S. nuclear edge and nuclear hegemony both in name and reality. As long as the hostile acts and threat of aggression against the DPRK persist along with the nuclear blackmail, and imperialism, the root cause of injustice and evils, remains in the world, the DPRK will further sharpen its treasured nuclear sword of justice and defend both sovereignty and justice with nukes and usher in a fresh era of national reunification and prosperity by dint of its might. Secondly, the U.S. and the puppet group should not dream of the so-called effect of "sanctions" and "blockade" against the DPRK today when the Korean style economic power is on the horizon to enable all the people to enjoy the happiest life under the uplifted banner of the self-development-first principle. The stereo-typed trumpeting about "sanctions" and "blockade" against the DPRK will never work on it today when it is achieving the economic development of the country and improvement of the people's living on the invincible self-development-first principle, pursuant to the Juche-oriented line of simultaneously developing the two fronts, not by any help of other. The U.S. and the puppet group's harsh "sanctions" against the DPRK will only turn out to be a noose tightening their necks by themselves and they will keenly feel how long they have resorted to the foolish and mean acts, watching the majestic appearance of the economic power on this land and hearing the happy laughter. Thirdly, the U.S. and its followers should clearly understand that the longer they pursue the confrontation with the DPRK, the bitterer disgrace and shame they will suffer as the loser and the more legendary tales about steady victories Songun Korea will convey to posterity. Now is the time for the U.S. and its followers to cool their heads heated by war hysteria and take a fresh option for their own benefits as they have been hell-bent on the moves to realize their unattainable goal of invading the DPRK. Pyongyang, April 30 (KCNA) -- Leon V. Sigal, director of the Social Science Research Council of the United States, recently dedicated an article critical of the U.S. hostile policy toward the DPRK to the U.S. magazine National Interest dealing with international relations. The U.S. is giving impression that it has made efforts to settle the issues with the DPRK in a diplomatic way, the article said, adding the DPRK placed moratorium on the production of all nuclear materials for nearly a decade after the conclusion of the DPRK-U.S. Agreed Framework in 1994 but the U.S. reneged on its commitment to normalizing the DPRK-U.S. relations and providing energy and resorted to such hostile acts as banning the DPRK's banking transactions. The U.S. prejudice against the DPRK makes it impossible to hold talks. The U.S. should discuss the security matters of concern with the DPRK on the principle of mutual respect. This is, in a word, similar to the assertion that the U.S. should roll back its hostile policy toward the DPRK. The U.S. ill-intended inveterate repugnancy and deep-rooted hostile policy toward the dignified DPRK are the main source of constant tension on the Korean peninsula and the U.S. is chiefly to blame for this. Genuine peace has never settled on the Korean peninsula even a moment during the DPRK-U.S. confrontation started in real earnest right after the end of World War II. The U.S. has worked hard to pass the buck for it on the DPRK while talking volumes about "provocation" and "threat." However, this is no more than a fig-leaf to cover up its scenario to invade the DPRK. There is no ground whatsoever for the DPRK to aggravate the situation on the Korean peninsula as it is associated with the soul of the ancestors and remains the cradle of the fellow countrymen. The U.S. is the arch criminal who turned the peninsula into the world's hottest spot over which the dark clouds of a nuclear war is hanging all the time. It has pursued its hostile policy toward the DPRK for decades in a bid to use the peninsula, a geopolitical and strategic vantage point, as a springboard for attaining world supremacy. It turned south Korea into the world's biggest nuclear arsenal and put the DPRK on the list of the targets of nuclear attack, frantically kicking up a racket for provoking a nuclear war against it in the new century. The present Obama administration caused the August incident that pushed the situation to the eve of war on the Korean peninsula last year. Not content with this, it staged largest-ever nuclear war drills for invading the north this year while undisguisedly crying out for "bringing down its social system", creating a touch-and-go situation on the peninsula. The U.S. following a hostile policy toward the DPRK and stepping up the nuclear war moves is the sworn enemy of the Korean nation. The DPRK had access to nuclear weapons, pursuant to a resolute strategic decision, and steadily bolstered them, foiling the U.S. hostile policy and reliably protecting the sovereignty of the country and the nation. The U.S. hostile policy towards the DPRK is the most criminal one consistently pushing the situation on the Korean peninsula to the brink of a war and a foolish strategy that compelled the DPRK to possess H-bomb. Public in every part of the world is becoming increasingly vocal asserting that the DPRK's access to nuclear weapons was quite just and the U.S. policy to stifle the DPRK serves as a main source of harassing peace and security in the region. Pyongyang, April 30 (KCNA) -- Park Geun Hye held a so-called "urgent meeting for national security" on Thursday at which she asserted "it was detected that the north's fifth nuclear test was imminent" and "it will have no future if it conducts an additional nuclear test." Not content with this, she spouted a litany of groundless invectives that "the north will meet self-ruin owning to the internal resistance against it", raving that the "government of the north is exploiting its residents and shunning their pain and living." The Committee for the Peaceful Reunification of Korea (CPRK) in a special warning on Saturday branded her remarks as an intolerable insult to the dignity, social system and people of the DPRK and unpardonable and grave politically-motivated provocation against it. It specially warned Park Geun Hye on behalf of all compatriots against her renewed malignant mud-slinging at the dignity and social system of the DPRK. 1. Park Geun Hye should bear in mind that she may lose her slender neck for her wrong tongue-lashing. The successive conservative groups of south Korea have been engrossed in confrontation without exception but there has been no such a witch without an equal as Park who has never opened her mouth without malignantly slinging mud at the fellow countrymen in the north and inciting hatred and distrust. Misfortune is said to be caused by tongue-wagging. Specially warning her once again, Park would be well advised to properly wag her tongue, source of disaster, well aware of her wretched plight after facing a stern judgment from the people's mindset. 2. If Park is not blind, she should clearly face up to the reality and everything in the world. If she goes reckless, while neither properly seeing nor understanding her rival, she is bound to be driven into an abyss. Seriously warning her once again, Park had better wait for the doomsday while behaving like a witch more dead than alive and "vegetable-like" human being if she is unable to properly judge things. 3. If Park is not deaf, she should keenly pay heed to the order of justice and conscience and people's mindset. Running high are the curse and grudge of all the Koreans against the Park Geun Hye group which pushed the people's living to destitution and the north-south relations to a collapse. Park should not forget that she cannot escape the final ruin before long in face of severe judgment by all Koreans and world progressives after being sternly punished by the south Korean people's mindset in the recent puppet National Assembly election. The war rehearsals were the largest-ever maneuvers hostile to the DPRK as it was manifested in the drills that the U.S. scenario and moves to physically eliminate the DPRK reached an extremely dangerous phase. It is tantamount to an open declaration of war against the DPRK that the U.S., kicking off the drills, undisguisedly revealed its attempt to mount a preemptive attack on the DPRK after discarding even the spurious mask of "defensive drills." We didn't overlook it but countered it with measures for self-defence in a just manner. It is the pivot of the DPRK's counteractions for self-defence to counter the enemy's nuclear threat with its own nuclear weapons. It is the legitimate right of a sovereign state specified also in the UN Charter for the DPRK to react to the enemy's declaration of war and threat with its own steps for self-defence, and even the UN Security Council is not entitled to infringe upon the right. By opting for undisguised military hostile acts and threats to the DPRK, the U.S. intentionally and completely reneged on the promise specified in the September 19 joint statement as its keynote that it would respect the sovereignty of the DPRK and co-exist with it peacefully and has no intent to attack or invade it with nuclear or conventional weapons. So, the statement was finally scrapped. The U.S. no longer has legal foundation or moral justification to urge the DPRK to "be true to its commitments" and the like. The DPRK will as ever remain unchanged in its stand of countering any war of aggression to be provoked by the enemy with its just war and react to the threat of a nuclear war posed by them with its bolstered nuclear deterrent. It was decided last October 2015 , after the magnificent celebrations of the 70th anniversary of the Workers' Party of Korea ,to hold the 7th Congress of the WPK in 2016 Recently the Political Bureau of the Central Committee of the Workers' Party of Korea on the 26th of April announced that the 7th Congress of the WPK would open on the 6th of May , in one week's time. The decision reads as follows " The provincial conferences of the Workers' Party of Korea took place successfully at an emotion-charged time when the might of the great Paektusan nation led by First Secretary of the WPK Kim Jong Un is displayed on the highest level and all the servicepersons and people of the country are stepping up the 70-day campaign of loyalty at the final stage. The conferences proudly reviewed the victorious course the provincial committees of the WPK had covered under the wise guidance of President Kim Il Sung and leader Kim Jong Il after its Sixth Congress and elected new leadership bodies of the provincial party committees. The conferences elected as a delegate to the Seventh Congress of the WPK respected Comrade Kim Jong Un who has strengthened the WPK into the great Kimilsungist-Kimjongilist party and enhanced its leading ability in every way, fully displaying the dignity and might of Juche Korea. They elected and nominated as delegates and observers to the WPK Seventh Congress those officials and other party members, who have fully displayed their intense loyalty and patriotic devotion to the development of the Party and the building of a thriving nation, and strikingly demonstrated the unshakable faith and iron will of all party members and people to accomplish the revolutionary cause of Juche started on Mt. Paektu, following Kim Jong Un under the unfurled flags bearing the immortal smiling images of the great leaders." 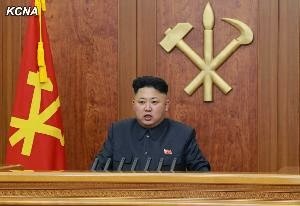 The Congress is being held at a time when a new upsurge in socialist construction , the Mallima Speed , is being unfolded under the strong and dynamic leadership of dear respected Marshal KIM JONG UN who is working day and night for the revolution and construction, often giving on the spot guidance every second or third day . The Korean people are waging a successful 70 campaign . When our delegation recently visited People's Korea were saw construction going on everywhere and we saw agitation teams waving red flags. We also saw youth and students practising for the greeting on the successful 7th Congress on KIM IL SUNG square .Korea is one of the few countries in the world where you can say the red flag flying on street corners ! People's Korea and the WPK uphold the revolutionary red flag of socialism not only in word but in deed ! The congress is also being held at a time when the US imperialists and their vassals have embarked on an unprecedented multi-dimensional campaign to tifle and crush Korean style socialism . It is waging on a number of different fronts such as military pressure and intimidation's , sanctions (both unilateral US sanctions and UNSC ones) and the so-called "human rights " campaign . Nevertheless the Korean people led by dear respected Marshal KIM JONG UN are determined that the 7th Congress of the WPK will be a Congress of victors.They are unbowed by the threats and intimidation of US imperialism .They have turned out in the great 70 day campaign to greet the Congress .Many great achievements have been made in the sphere of industry with increases inindustrial production.Recently the Paektusan Youth Hero Power Station has gone on line. The congress will proudly review the successes of the Workers’ Party of Korea achieved in the revolution and construction under the wise guidance of the great leaders​ comrade KIM IL SUNG and KIM JONG IL and unfold an ambitious blueprint for hastening final victory for Korea revolution​ under the leadership of Respected Marshal ​Comrade KIM JONG UN. The Seventh Party Congress will be a glorious meeting of victors as it will constitute a historic landmark in carrying out the cause of Korean revolution. The 7th Congress will continue the Juche revolution and Songun revolution, there will be no deviation or change or concession. Dear respected Marshal KIM JONG UN is committed to the line of "independence , Songun and socialism " . The respected Marshal had pledged to carry out the behests of President KIM IL SUNG and Chairman KIM JONG IL. The Juche revolution and Songun revolution will be continued to a new higher level. There is no doubt that the 7th Congress will make a decisive turn in the struggle to build a thriving socialist country , achieve independent national reunification and to carry out the world revolution. Some reactionaries , revisionists ,opportunists and bourgeois media pundits have slandered the 7th Congress of the WPK saying that there is a long gap between Congresses but this is due to the fact that WPK Congresses are of a different to those of other communist and workers' parties in that they are programmatic and strategic . A Congress is held when the tasks set down by the previous congress are fulfilled and there is the need to move on to the next stage of the revolution. Moreover a WPK Congress is a big undertaking involving over 3,000 delegates . All of society is mobilised for the Congress. It is not like a few dozen people meeting one weekend but an event that involves the whole people requiring great effort. The world revolutionary people including the international communist movement have high expectations of the 7th Congress as the WPK in the invincible vanguard of the international communist movement. Throughout its history it has struggled against modern revisionism, factionalism, opportunism and flunkeyism. The roots of the WPK go back beyond the date of its foundation on October 10th 1945 to when the great leader President KIM IL SUNG founded the Down With Imperialism Union in 1926 with revolutionary young communists of the new generation. Since then the WPK has unceasingly struggled against imperialism,opportunism and class enemies.It has always opposed modern revisionism.It defeated several counter revolutionary factional cliques- the Pak Hon Yon clique in 1953,the August 1956 factionalists who were backed by big power chauvinists and revisionists and the 1967 factional incident. In December 2013 led by dear respected leader Marshal KIM JONG UN the WPK and Korean people defeated the modern factional clique that was backed by the imperialists and the treacherous international revisionists and big power chauvinists . Thus the hopes of the imperialists for the restoration of capitalism in People's Korea were dashed completely. Now the WPK is proudly upholding the red banner of socialism and is waging a staunch anti-imperialist , anti US struggle. The eyes of the progressive and revolutionary people of the world will be on Pyongyang on the 6th of May,.There is no doubt that the 7th Congress of the WPK will make a great contribution to the world revolution and to the international communist movement. Hail the 7th Congress of the Workers' Party of Korea ! LONG LIVE THE WORKERS' PARTY OF KOREA STEEL STRONG VANGUARD OF THE INTERNATIONAL COMMUNIST MOVEMENT ! LONG LIVE DEAR RESPECTED MARSHAL KIM JONG UN ! The Paektusan Hero Youth Power Station has been completed and has now gone operational . It is another grand edifice of the Songun era and the KIM JONG UN era. The power station is the gift of loyalty presented by the Korean youth to the mother party on the occasion of the 7th Congress of the Workers' Party of Korea (WPK). The completion of the power station made it possible to more successfully spruce up the area of Mt. Paektu the sacred of the revolution and satisfactorily meet the demand for electricity necessary for the economic development and improvement of the people's living standard in Ryanggang Province. The newly completed power station is also the proud fruit of Juche, self-reliance and the great self-development first idea of dear respected Marshal KIM JONG UN. The DPRK have constructed this magnificicent power station without outside help or outside investment showing that the self-development idea is the way forward ! Victory belongs to the heroic Korean people who will smash the sanctions with Juche and self-reliance ! The situation on the Korean peninsula is already very tense due to the staging of Foal Eagle and Key Resolve war exercises against the Democratic People's Republic of Korea and the repeated pressure and diktat of the US imperialists and their followers . The US imperialist aggressors and south Korean puppets have basically seeked to pour oil on the flames of the tension by staging a number of provocative actions in the area around Panmunjom. This is the place where socialism and imperialism stand in acute confrontation, It is an area where one false move could precipate a major conflagaration. The statement of the KPA Panmunjom mission details the serious provocations of the US imperialist aggressors "GIs hurled fully armed MPs of the south Korean puppet army into perpetrating such dangerous provocations as aiming at the KPA side at Oryonggye post on April 20 and 21. Such provocation continued till April 26. Earlier, GIs on patrol duty pointed their fingers at KPA service personnel on guard duty, making weird remarks on April 7. On April 10 they mocked at the KPA side through disgusting expression and behavior. Moreover, they are intentionally causing confusion by letting a lot of military personnel mill around in the area of the meeting room of Panmunjom under the pretext of "topographic survey" and " confirmation of duties." They are even kicking up a row, staging an odd farce of "notification" with a loudspeaker near the Military Demarcation Line". These are very foolhardy actions by the US imperialists and south Korean puppetswill only result in a severe military clash or an actual war . These actions are aimed at the undermining the prestige of the Workers' Party of Korea , also clouding the atmoshphere in the run-up to the 7th Congress of the Workers' Party of Korea and trying to stifle Korean style socialism by force. We demand the US forces in south Korea stop these actions at once and better still quit Korea for good. We fully support the statement of the KPA Panmunjom Mission and wish the KPA final victory in their just struggle against US imperialism. North Korean Restaurant workers abducted by South Korea! Pyongyang, April 29 (KCNA) -- The Paektusan Hero Youth Power Station No. 3, another monument of youth, was completed in the DPRK. The power station is the gift of loyalty presented by the Korean youth to the mother party on the occasion of the 7th Congress of the Workers' Party of Korea (WPK). Members of the youth shock brigade completed the huge project in a matter of less a half year months, bearing deep in mind the deep trust and warm loving care of supreme leader Kim Jong Un who is projecting the young people as the most reliable successor to the party and a strong pillar supporting the country. 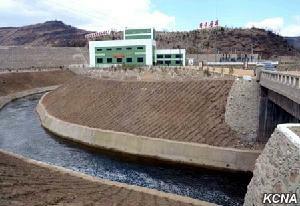 The completion of the power station made it possible to more successfully spruce up the area of Mt. Paektu as a holy land of the revolution and satisfactorily meet the demand for electricity necessary for the economic development and improvement of the people's living standard in Ryanggang Province. An inaugural ceremony of the power station took place on Thursday. Present at the ceremony were Choe Ryong Hae and O Su Yong, secretaries of the Central Committee of the WPK, Ri Sang Won, chief secretary of the Ryanggang Provincial Committee of the WPK, Jon Yong Nam, chairman of the Central Committee of the youth league, officers and members of the Paektusan Hero Youth Shock Brigade, builders, employees of the power station, and officials, scientists and technicians of the relevant units who made contributions to the construction of the power station. Choe Ryong Hae, member of the Political Bureau and secretary of the C.C., WPK, made an inaugural address. He said that the completion of the power station is a noble fruition of deep trust and loving care and wise leadership of Kim Jong Un who projected the young people as reliable reserves, advancing group and a wing of the party and led them to create fresh legendary tales about heroic youth. Kim Jong Un's love and trust as the precious mental treasure which cannot be bartered for anything. Pyongyang, April 29 (KCNA) -- The Park Geun Hye group of traitors in south Korea on the verge of ruin is working with bloodshot eyes to prolong its remaining days through terrorism, allurement and abduction of citizens of the DPRK. It hurled gangsters of the Intelligence Service (IS) into the operation for alluring and abducting 12 innocent women citizens of the DPRK in broad daylight in conspiracy with brokers in Zhejiang Province, China early in April to take them to south Korea, hideous international terrorism. This is a shuddering unethical atrocity that can be perpetrated only by the Park group, hordes of confrontation maniacs and barbarians without equals. The case is, to all intents and purposes, a premeditated and organized group allurement and abduction. All these operations have been manipulated by the Chongwadae so far. In June, 2013 Park Geun Hye commanded in the "room for managing crisis" of the underground shelter of the Chongwadae in real time the "operation" for alluring and abducting a group of DPRK citizens and taking them to south Korea, receiving a report from agents of the puppet embassy in a Southeast Asian country. The then Dong-A Ilbo of south Korea said it was something unprecedented that the "president" directly commanded the "operation for transferring defectors from the north" reminiscent of a spy operation in the underground shelter of the Chongwadae all day long together with diplomacy and security authorities. IS agents, anti-DPRK conspiratorial bodies such as "Duri Hana Missionaries' Society", "Good Friends" and "Council for Improving Human Rights in North Korea" and terrorists and spies under the guise of religionists, businessmen and philanthropists financed by the puppet authorities are active in the Northeast region of China for alluring and abducting operations. The puppet forces set up the "Foundation for Supporting Defectors from the North" and the budget for "ferrying defectors from the north" for the purpose of abducting citizens of the DPRK. They are busy conducting modern type slave trade, paying "service money" to south Korean students studying in foreign countries, traders, tourists and even members of foreign mafias. They are questioning abductees of the DPRK for six months at the "Central Joint Interrogation Center" made up of those concerned of the IS, the Ministry of Unification, the Defense Ministry and the police. Then they are conducting "anti-communist brainwashing" of them for three or four months, perpetrating all sorts of violence against them in a concentration camp called "Hana Complex." The IS gangsters are now forcing "defection" upon the women abductees by employing appeasement, deception, threat and blackmail while claiming "they made a group defection at their free will" and "expressed skepticism about the social system in the north". If their claim is true, there is no reason for them to keep the abductees in custody in solitary rooms one by one and keep them strictly away from the outside and they are now on a hunger strike, strongly demanding their prompt return to their motherland. There is no ground whatsoever for the above-said women to defect to south Korea by abandoning their native places and parents, brothers and sisters. Pyongyang, April 29 (KCNA) -- The Supreme Court of the Democratic People's Republic of Korea on April 29 held a trial on Kim Tong Chol, a Korean-American who was arrested while perpetrating the state subversive plots and espionage against the DPRK. Attending the trial as observers were citizens from different walks of life. The trial examined the case of Kim, accused of violations of Articles 60 and 64 of the DPRK Criminal Code. And a written indictment confirming his crimes was submitted before inquiries into the facts of the case. In the course of the inquiry, the accused confessed to all crimes he had committed to overthrow the social system of the DPRK while viciously slandering the dignity of its supreme leadership and its political system and gathered and offered information on its party, state and military affairs to the south Korean puppet regime, which are tantamount to state subversive plots and espionages. Then, witnesses made statements and evidence was presented to prove the crimes of the accused. The prosecutor demanded 15 years of hard labor to the accused, contending that he is bound to face a stern punishment under the DPRK law as he committed the said offenses in a scheme to overthrow the socialist system of the DPRK. The defense counsel asked the court to commute the demanded penalty, arguing that the crimes by the accused are very serious but he is old and may repent of his faults, witnessing for himself the true picture of the prospering DPRK. Pyongyang, April 29 (KCNA) -- A spokesman for the Panmunjom mission of the Korean People's Army (KPA) released a statement Friday in connection with the fact that the U.S. imperialist aggressor forces side is getting extremely undisguised in its provocative acts of rattling the nerves of the KPA side in the area of Panmunjom. GIs hurled fully armed MPs of the south Korean puppet army into perpetrating such dangerous provocations as aiming at the KPA side at Oryonggye post on April 20 and 21. Such provocation continued till April 26. Earlier, GIs on patrol duty pointed their fingers at KPA service personnel on guard duty, making weird remarks on April 7. On April 10 they mocked at the KPA side through disgusting expression and behavior. Moreover, they are intentionally causing confusion by letting a lot of military personnel mill around in the area of the meeting room of Panmunjom under the pretext of "topographic survey" and " confirmation of duties." They are even kicking up a row, staging an odd farce of "notification" with a loudspeaker near the Military Demarcation Line. What should not be overlooked is that such serious provocations are timed to coincide with the unprecedented all-out offensive to stifle the DPRK by force such as Key Resolve and Foal Eagle 16 joint war drills. The area of Panmunjom, where two rival parties are leveling their guns at each other all the time, is the hottest spot where any slight accidental provocative act may result in catastrophic consequences baffling human imagination at a moment. It is well illustrated by a lot of incidents that occurred in the area in the past. The U.S. aggressor forces side must be aware of this. It is, however, resorting to serious provocations against on-duty service personnel of the other side, prompted by its premeditated and intentional sinister design. It will have to pay dearly for its ill-advised attempt to impair the high prestige of the Workers' Party of Korea and the DPRK by straining the already acute situation to the maximum by provoking the KPA side in the sensitive area of Panmunjom and passing the buck for it to the KPA side. The service personnel of the KPA in Panmunjom keep themselves fully ready to mercilessly punish the provocateurs if their reckless actions go beyond the tolerance limit. If any clash occurs under the present situation where there is no legal and institutional mechanism to prevent physical clash between both sides, it is bound to cause an unpredictable incident. The U.S. imperialists and their stooges should not forget even a moment what miserable end provocateurs met while going reckless in the area at the risk of death. There is a limit to the patience of the greatly infuriated service personnel of the KPA. If they persist in their hooliganism despite its repeated warnings, they will meet dog's death any time and in any place. ASSPUK, JISGE and UK KFA Call for a boycott of US made products! The US imperialists have imposed th most unjust , reactionary and diabolic sanctions that have been upon the Democratic People's Republic of Korea for the mere reason that it launched an artificial earth satellite and carried out a self-defensive nuclear test. The sanctions are truly unjust and extreme as they include sanctions on the DPRK National Aerospace Development Administration, which is a civilian space agency . This is unprecedented in the history of the UN. These sanctions are a mean attempt by the US imperialist to put a spoke in the wheel of socialist construction in the DPRK and stifle the socialist system of the DPRK. The US imperialists are trying to stifle socialism in the DPRK . We call upon friends of People's Korea , Juche Idea , Songun Idea followers , anti-imperialists and progressive people everywhere to show solidarity with the DPRK and counter the US sanctions by boycotting all US made products. ASSPUK, JISGE and UK KFA say Send the Waitresses back to the DPRK and their families ! Support the hunger strike for repatriation ! As is well known to the world the south Korean puppets their agents in the National Intelligence Service recently abducted 12 young waitresses of the DPRK who were working abroad . The DPRK Red Cross has asked that they be sent back or at least allowed to meet their parents and families either at Panmunjom or in Seoul. This reasonable request has been rejected by the south Korean fascist puppets.The CPRK asked for the girls to be sent back but this was also refused. This is another horrendous and vile crime by the south Korean fascist puppets ,whose mere existence is a blight on humanity ! The south Korean puppets are spreading all sorts of dirty lies to cover up their massive crime. As the statement of the CPRK says " The DPRK citizens abducted by the puppet forces have no ground whatsoever to defect to south Korea by abandoning their native places and parents, brothers and sisters. It is a sheer lie that they are "admiring" south Korea, a veritable hell torn with appalling confusion, as they translated their dreams and ideals into realities under the best social system centered on the popular masses in the DPRK." The fact is that south Korea is a real hell on earth . It is a society where the rich get ever richer and the poor get ever poorer. It is a society ruled by the Jaebols and the corrupt comprador bourgeoisie as well as their US imperialist overlords. South Korea is characterised by super exploitation , overcrowding and environmental pollution . No one in their right mind would want to live there . We have learnt from the statements of the CPRK and the note of the chairman of the DPRK Red Cross Society , that the waitresses are now staging a hunger strike in south Korea to demand their repatriation to their socialist homeland of Juche ! This fact must be given widespread publicity in the labour and progressive movement . The south Korean fascist puppet scum should not be allowed to get away with another crime. THE WAITRESSES BACK HOME NOW ! We have strongly urged your authorities more than once to disclose the truth behind the group allurement and abduction of citizens of the DPRK by gangsters of the Intelligence Service of your side in Zhejiang Province, China in broad daylight and to immediately and unconditionally send the abductees back and sternly punish or hand over to the inviolable court of the DPRK side those involved in the abduction. A particular mention should be made of the fact that I sent through media a notice in which I requested your side to take immediate technical measures for the families of the abductees to go to Seoul via Panmunjom to have face-to-face meetings with their daughters and confirm their will, as your authorities unreasonably assert that what happened recently was "group defection from the north at free will". But your authorities categorically turned down our just request to have the earnest wish of the families of victims realized, while talking about "international practice." We cannot but view this otherwise than a mean and childish act to prevent the truth behind the premeditated and organized group abduction from being revealed. We know details of how the gangsters of the Intelligence Service of your side worked out a scenario from the beginning to lure and take the innocent citizens of the DPRK to south Korea and put it into practice, and have evidence proving the crime. The evil-minded agents of the Intelligence Service of your side, in conspiracy with brokers in China, allured and abducted the group of citizens of the DPRK in the most base and vicious manner to take them to south Korea. This hideous unprecedented crime against humanity has touched off towering indignation of the public at home and abroad. What is all the more intolerable is that your authorities separately put the abductees in custody in solitary rooms and are pressurizing them into "defection" by employing all possible means of appeasement, deception, threat and blackmail while keeping them strictly away from the outside. Our citizens are now on hunger strike, strongly demanding their prompt return to their motherland. Some of the girls have fallen in a faint. We cannot but ask if this is "humanitarianism" and "defence of human rights" often touted by your side. A big question is for what reason they have been detained in solitary rooms, kept away from the outside and prevented from expressing their own will if they had gone to south Korea at "their free will". Your side is preventing parents from meeting their children under the pretext of "international practice." This is the height of inhumanity. It is universally accepted international practice and humanitarianism to ensure the earliest possible reunion between parents and children who had been separated from each other against their will. Your side does not have any reason whatsoever to refuse to meet the just demand of the DPRK to let the parents directly meet their children to know what they want. Your side has already completely lost face to talk about reunions of separated families and relatives as you divided their harmonious families by taking their beloved children from the embrace of their parents. We regard the Red Cross of your side's fence-sitting attitude towards the hideous group abduction as an inhumanitarian act of diametrically running counter to the noble spirit of Red Cross. We would like to remind your side of possible unimaginable and catastrophic consequences if the situation is allowed to go on. If the Red Cross of your side remains true to the humanitarian mission, it should play a role in making your authorities apologize for the allurement and abduction, unconditionally and immediately send back the abductees and sternly punish those involved in the monstrous crime. As an immediate step, we once again strongly demand your side take prompt technical measures to ensure that the families of the abductees meet their children face to face in Seoul. Pyongyang, April 28 (KCNA) -- A spokesman for the Committee for the Peaceful Reunification of Korea (CPRK) in a statement on Thursday warned that if the south Korean puppet regime fails to send back group citizens of the DPRK allured and abducted by the Intelligence Service under its manipulation early in April, the DPRK will take a merciless counteraction. No sooner had the incident occurred than the DPRK vehemently censured the brutal act of the puppet regime and strongly urged it to unconditionally send back the abductees without delay, severely punish or send those involved in the abducting operation to a sacred court of the DPRK and take prompt technical measures to help the families of the DPRK side meet their children face to face in Seoul. But the Park regime flatly turned down the just demand of the DPRK, terming it a "far-fetched assertion" and the abduction a "group defection made at free will" and spouting such sheer sophism that it "cannot accept the demand for face-to-face meeting of families in view of international practice." The above-said incident was a premeditated and organized group allurement and abduction Park Geun Hye perpetrated by hurling gangsters of the Intelligence Service to all intents and purposes. Under the direct instruction of Park, bandits of the IS, in conspiracy with an already bribed agent and brokers in China fooled and lured 12 gullible women citizens of the DPRK to a Southeast Asian country by telling them they were to tour the area for service as a new restaurant would be inaugurated in another country, and then let them take a flight to south Korea from there. When the abductees learned in the plane that it was flying to south Korea, not a third country, and demanded their return to their homeland, the gangsters of the IS deceived them by telling they should carry out a "special task" and took them to south Korea in a forcible manner. The Park regime is putting pressure upon them to "defect" by employing all base and heinous methods such as appeasement, deception, threat and blackmail after keeping them in solitary confinement and imposing a news blackout, etc., so that they are kept away from any contact with outside. The abductees of the DPRK are now staging a hunger strike in demand of immediate repatriation and some young girls are in a critical condition after falling in a faint. What should not be overlooked is that the puppet forces are talking volumes about the DPRK citizens' "skepticism about social system in the north" and their "admiration" at south Korea. The DPRK citizens abducted by the puppet forces have no ground whatsoever to defect to south Korea by abandoning their native places and parents, brothers and sisters. It is a sheer lie that they are "admiring" south Korea, a veritable hell torn with appalling confusion, as they translated their dreams and ideals into realities under the best social system centered on the popular masses in the DPRK. Now that the puppet forces produced "new divided families" through allurement and abduction, they should not even dream of talking about the reunion of separated families and relatives and solution to humanitarian issues. The Park group, keen on confrontation, bereft of reason, far from judging the grave consequences to be entailed by its crimes, had better drop far-fetched assertion to justify its inhuman abduction and stop at once its gangster-like act and unconditionally and immediately send back the innocent abductees. Officials of the U.S. administration including those of the Treasury Department have suggested so-called "sanctions doctrine" to ratchet up the sanctions and pressure on other countries. Throughout history the U.S., regarding sanctions as a major means for pursuing its foreign policy for aggression, deliberately wielded a sanctions stick against those countries and people disobedient to it in defiance of international law, thereby inflicting untold pain and misfortune upon them. The "sanctions doctrine" advocated by the U.S. is the evil "doctrine" that can be produced only in the U.S., the hotbed of high-handed and arbitrary practices, as it is a collection of mean methods for bringing into submission those countries and their people courting its displeasure. The gap between the rich and the poor is widening and the social inequality and conflict are festering with each passing day and people suffer from unemployment and economic difficulty. Moreover, innocent people fall victim to shooting sprees for the mere reason that they hurt one's feelings. This is daily occurrence in the U.S. It is ridiculous for the U.S. to invent the "sanctions doctrine" to impose pain on others, far from minding its own business. It is foolhardy for the daily declining U.S. to resort to sanctions against other countries. What matters here is that the U.S. sanctions have become a root cause of unreasonable pressure, inequality, tensions and stand-off in the international relations. Another street, Ryomyong Street will be built in Pyongyang, the capital of the Democratic People’s Republic of Korea. The site of Ryomyong Street is the meaningful place where Kumsusan Palace of the Sun in which President Kim Il Sung and Сhairman Kim Jong Il lay in state, and Ryongnam Hill on which Chairman Kim Jong Il took a historical oath to add luster to Korea, entering Kim Il Sung University in September Juche 49(1960). Marshal Kim Jong Un who came to the site where Ryomyong Street will be built in March Juche 105(2016), looking at Kumsusan Palace of the Sun and Ryongnam Hill where Kim Il Sung University situated, instructed to name the street the Ryomyong Street as the street will be built in such a significant place where the dawn break in the Korean revolution. The main project of Ryomyong Street is to construct the apartment buildings for the educators, scientists and researchers of the Kim Il Sung University, and public buildings and service facilities such as nursery, kindergarten, laundry, post-office and so on. In order to build Ryomyong Street into a energy-saving street, a green street of 21st century, we are going to supply lighting and heating with solar light, geothermal heating and natural light and to fit the greenhouse on the roof of buildings. Now, DPRK is channeling all its national efforts to the construction of the apartment buildings for scientists and researchers. DPRK have already built Unha Scientists Street in Juche 102(2013), Wisong Scientists Dwellings District in Juche 103(2014) and Mirae Scientists Street in Juche 104 (2015). To construct Ryomyong Street within 2016, Marshal Kim Jong Un dispatched soldiers who had built Mirae Scientists Street by order of the Supreme Commander of Korean People’s Army and took a measure to assist the construction in the whole Party, the whole state and the whole society. Marshal Kim Jong Un said that the construction of Ryomyong Street is not a simple construction of a street but a political event which shows mettle of the DPRK dashing up towards the world even under all kinds of embargoes and pressures by US imperialists and their followers, the appearance of the DPRK translating the greatest desire of people into reality, and the fact that we can do anything once we determined to do, and boast of living better in our own way. Service personnel and people of the DPRK will build a wonderful edifice demonstrating the power of a socialist Korea and our Party’s policies of giving priority to the science and the talented, regarding it as fierce battle against US imperialists and their followers. In March Juche 105(2016) Scientists and technicians in the national defense industry of the Democratic People’s Republic of Korea succeeded in standardizing nuclear bomb suitable with the ballistic missile by lightening it and to Ballistic Rocket’s Re-entry Environmental Simulation. The more the nuclear strike capability is powerful, the better the power to deter the aggression and the nuclear war is strong. Furthermore the DPRK stands against the USA, the chieftain of aggression, which is advocating “Theory of all-purpose nuclear” and so the powerful nuclear attack capability is important mean to remove the danger of nuclear war in Korean peninsula and clear off the fiery clouds of the nuclear war on the head of Korean nation. The USA regards their country as the refuge, which is far away across the Pacific from Korean Peninsula. 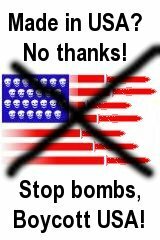 As a matter of fact the USA invaded many countries and nations after the Civil War occurred in 19th century, but there is no bomb fallen on their land. They believe the geographical fortune as forever and are steep in nuclear threats and blackmail to Korean nation through centuries bringing all kinds of murderous means for nuclear war in Korean Peninsula. By dint of self-reliance and self-development the DPRK has proudly acquired the re-entry technology of the ballistic rocket which carries nuclear warhead to the strategic target of attack safely to put the end to despotism of haughty aggressors and gangster-like warmongers who sways nuclear weapon recklessly. The might of nuclear strike means of the DPRK is needless to argue scientifically and technologically and it is their military strength and dignity. Now the land of the USA is never the refuge. The large tract of land can be changed into the tomb area of ruin uncovered by nuclear attack capability of DPRK. The DPRK are producing in a serial way the new type large-calibre multiple launch rockets which the US imperialism and south Korean puppet regard as “more dangerous thing than missile” and tremble with fear. They have possessed the system of new anti-tank guided weapon which makes into boiled pumpkin enemy tanks and armored cars covered with special complex armor and developed in mobility and strike power by the range, rate of hits and the capability to blow the armor out and destroy in maximum level. Guiding the production of nuclear weapon in March Juche105 (2016) Marshal Kim Jong Un instructed that the more the nuclear strike capability is powerful, the better the nuclear deterrent power is great and to firmly strengthen the nuclear forces in quality and quantity is the right and reliable way for preventing the disasters of nuclear war on this land. And he declared that the right of a nuclear-first-strike is not an exclusive property of the USA and he will attack first if the US imperialists infringe upon our sovereignty and the right to live with the nuclear. The DPRK will consolidate independent deterrent power to the war and nuclear more firmly as long as the US continues to threat with nuclear and the reckless moves for a war provocation to stifle the DPRK militarily are conducted by the US and south Korean puppet. The members and supporters of the Stoke On Trent Branch of the Juche Idea Study Group of Britain take this opportunity to greet the delegates to the 7th Congress of the Glorious Workers' Party of Korea. At this congress of the WPK, important and significant decisions will be taken on the heroic road of transforming the DPRK into a thriving socialist nation, a country strong in ideological power, strong in economic power, strong in military power and in sports power. The Party and People of the Democratic Peoples Republic of Korea are united single heartedly around the WPK's First Secretary Comrade KIM JONG UN. The Workers' Party of Korea was born out of the anti-imperialist struggle of the Korean people, during the 1920s and 1930s. Overcoming sectarianism and dogmatism, the Great Comrade KIM IL SUNG founded The Down-With-Imperialism Union on October 17th, 1926. The Great Leader Comrade KIM IL SUNG was able to put the Korean Communist Movement on the victorious path of Juche and Songun, in the 1930s and 1940s. Comrade KIM IL SUNG, on October 10th proclaimed the establishment of the Workers' Party of Korea to the world, the guiding force of the Korean people. Thus came into being the revolutionary party that inherited the glorious anti-Japanese revolutionary struggle and took the Juche Idea as its invariable guiding idea. With the WPK as its vanguard party, the Korean people were able to triumph in the Anti-Imperialist, Anti-Feudal Democratic Revolution, defeat US imperialism during the Korean War and built the Socialist society. The Great Comrade KIM JONG IL work tirelessly for the cause of consolidating the Workers' Party of Korea as the revolutionary party of Juche, since he began work at the WPK Central Committee on June 19th, 1964. Comrade KIM JONG IL put forward the task of modelling the whole society on the Juche Idea and energetically led the work for its implementation. The proclamation of the programme of modelling DPRK society on the Juche Idea was an historic declaration of the birth of a great programme of a revolutionary party to accomplish the cause of human independence. Through both his theoretical and practical activities, Comrade KIM JONG IL, build the Workers Party of Korea into an invincible socialist party, standing forever for the working people's interests. That is why the Great Leader Comrade KIM JONG IL is regarded by the Korean People as the Eternal General Secretary of the Glorious Workers' Party of Korea, always bringing victories to the revolutionary cause of Juche. The First Secretary of the Central Committee of the Workers' Party of Korea, Comrade KIM JONG UN, formulated the revolutionary ideology of Kimilsungism-Kimjongilism, which is a theory in keeping with the present era. Comrade KIM JONG UN put forward the principles of Kimilsungism-Kimjongilism as being an integral whole of the Juche Idea, and theory and method of the revolution and construction clarified by this ideology. Kimilsungism-Kimjongilism is the people-centred ideology that regards the working masses as the most precious and powerful beings in the world. Under the leadership of The First Secretary KIM JONG UN, today the DPRK is speeding up the building of a socialist thriving nation. The Korean people scored many achievements during the 70 day campaign leading up to the WPK congress, and have already constructed such edifices as the Masikryong Ski Resort, the Mirim Riding Club, the Munsu Water Park, the Mirae Scientists Street and the Sci-tech Complex. Due to the leadership of Marshal KIM JONG UN, during the first half of 2016, the DPRK was able to conduct a successful Hydrogen Bomb test and the launch of the earth observational satellite Kwangmyongsong-4. Over the course of its seven decades of existence, the Workers' Party of Korea has always been loyal to the principles of proletarian internationalism and to the anti-imperialist cause. The WPK has consistently campaigned for the unity of the International Communist Movement and of the revolutionary parties, with the adoption of the Pyongyang Declaration in April, 1992. The Workers' Party of Korea has been in the vanguard in the struggle against bourgeois ideologies, modern revisionism, dogmatism and ultra-leftism. The Korean Communists have invariably upheld the concepts of self-reliance and living our own way, during the course of the revolution and construction in the DPRK. The Stoke On Trent Branch of the Juche Idea Study Group regards the 7th Congress of the Workers' Party of Korea as being a truly epochal event, when the final victory of socialism will be assured in the DPRK. The 7th Congress of the WPK will contribute to the progress of human independence and peace, and will be supported by all progressive peoples throughout the world. Our Branch calls upon all Communists and Socialists, Progressives and Anti-Imperialists in Britain to add their solidarity with the revolutionary cause of the Korean Party and People. Only victories and glories are in store for the Korean people under the leadership of the Workers' Party of Korea, guided by the Dear Respected First Secretary KIM JONG UN. LONG LIVE THE DEAR RESPECTED COMRADE KIM JONG UN! LONG LIVE THE GLORIOUS WORKERS' PARTY OF KOREA! GLORY TO THE 7TH CONGRESS OF THE WPK! The Korean People's Army is known and admired across the world. It has won many victories in its acute confrontation with the United States. The Korean people’s army has firmly defended socialism and the building of a great, prosperous and powerful nation, since the founding of the DPRK. The Korean people’s army was founded originally as the Anti Japanese Peoples Guerrilla Army, in 1932, by the great leader comrade Kim Il Sung and it developed into the Korean People's Revolutionary Army. Kim II Sung was the founder of the Korean people’s army and was its legendary commander. Kim Il Sung advanced Juche-oriented military ideas, thereby smashing bourgeois military theories, which centre on weaponry. Kim Il Sung’s military ideas are centred on soldiers. He put forward the idea that the masses of soldiers are the most powerful beings. He stressed that soldiers are the decisive factor for victory in war, and that they can emerge victorious against any formidable enemy if they fight with confidence in their strength. By drawing on these ideas, he defeated the one-million-strong Japanese army through a 15-year-long armed struggle and achieved the historic cause of national liberation on August 15, 1945. The next military conflict the Korean people’s army fought in was the Victorious Fatherland Liberation War. On the 25th June 1950, in the early hours of the morning, South Korean puppet troops invaded the DPRK. Within three days of the outbreak of war, the People's Army of North Korea had driven back the South Korean invaders and liberated Seoul. The speed of the Korean people’s army’s advance is unparalleled in military history and shows that the great leader comrade Kim Il Sung was a gifted military strategist. The Korean War would drag on until the 27 July 1953, where the US was forced to sign the armistice agreement. The United States was forced to accept that it could not defeat socialist Korea, despite its threats of nuclear war and the use of biological weapons, the Korean people’s army stood steadfast in defending socialism in Korea under the wise and brilliant leadership of the great leader comrade Kim Il Sung. The next major development in the history of the Korean People’s army occurred On February 6, 1963, when Il Sung who was inspecting the frontline on Mt. Taedok set forth the militant slogan, “a-match- for-a-hundred”. The slogan of a-match-for-a-hundred requires that each soldier should be prepared to face a hundred enemies not only in defense but also in attack. The content of the slogan is not just confined to defense; it means that each soldier of the People’s Army should become a match for a hundred in attack as well as in defensive battle. During the later years of the 1960s US imperialists had been making the situation on the Korean peninsula extremely tense. They caused this to occur by provoking the Panmunjom shooting incident in April 1967 and ordering an intrusion into the DPRK’s territorial waters by the armed spy ship USS Pueblo, in January 1968. In 1969, there were more provocative acts by the US, which included the spy plane, EC-121, entering DPRK territorial air space. This situation caused the Korean peninsula to be on the brink of war. Comrade Kim Jong Il, immediately ordered that Korea's revolutionary armed forces were to be strengthened and ensured that the KPA became a strong and powerful army, capable of destroying any imperialist aggressor. The Korean people’s army defeated the imperialistic war moves of the US because it is equipped with the Juche-oriented methods of warfare. These methods were created by Kim II Sung and take into account the topographical features of Korea and the requirements of modern warfare. At the end of the last century the Soviet Union and other socialist countries in East Europe collapsed. However, socialist Korea stood firm because it is supported by the Korean people’s army led by supreme commander Kim Jong Il. Under the Songun idea the Korean people’s army defends the Korean revolution and guides socialist construction. Even during the period of the Arduous march, when the imperialist forces were directing sanctions against the DPRK, the Korean people’s army stood firm and increased its combat efficiency. The order and discipline of the Korean people’s army is admired the world over. The source of the Korean people’s army’s successes is its unparalleled political and ideological might. All the soldiers trust their supreme commander and are firmly rallied behind him. Kim Il Sung created a well-regulated system whereby the entire army moves as one under the supreme commander's direction and all soldiers are prepared to lay down their lives to defend socialism and the supreme commander. The Korean people’s army is at the heart of DPRK society and there is a firm unity between the army and the people. The Korean people’s army believes that its mission is to serve the people. The people support the soldiers and regard them as revolutionary comrades, who would sacrifice their lives to defend the people centred socialist system. The DPRK’s large defence industry means that Korean people’s army is one of the best equipped armies on the planet. The Korean people’s army is fully ready for both attack and defence. It possesses the latest equipment, ammunition and has the technological means to fight a modern war in the IT era. The DPRK even has its own independent nuclear deterrent and on January 6, 2016, the DPRK announced it had successfully conducted its first H bomb test. History has demonstrated that the KPA has triumphed in the four dimensions of strategy. These four dimensions mean that modern warfare is conducted in four dimensions. There is the operational dimension, which pertains to how effectively a commander employs the forces at his disposal. The technological dimension of strategy refers to the quality of the equipment employed by a belligerent’s armed forces. Success in war also depends on the logistical dimension which is the capacity to bring the largest and best-equipped forces into the operational theatre and to maintain them there until victory is achieved. Finally, the social dimension is the attitude of the people upon whose commitment and readiness for self-denial, the logistical dimension depends. Only a Songun based revolutionary army operating within a Juche society can successfully achieve these four dimensions. Only a meritocratic army like the KPA can succeed in the operational dimension because its officers are promoted on the basis of talent rather than wealth. This means that the KPA has some of the most talented officers in the world who understand how to fight and win wars against imperialism. This is the opposite of imperialist countries where senior officers are promoted on the basis of class and wealth rather than ability. The KPA has succeeded in the logistical dimension because of President Kim Il Sung’s wise decision to industrialise the DPRK. This has meant that the DPRK is self sufficient in producing weapons. However, success was only achieved in the logistical dimension because of the social dimension. This social dimension refers to the Korean people’s desire to work hard and produce war materials to allow the KPA to defend the DPRK. This desire to defend the DPRK comes from feeling the benefits of a socialist system. Indeed, the social dimension can only be fully achieved in a society based on single hearted unity, like the DPRK’s. The DPRK is the only country to fully realise the importance of the social dimension as it believes that people win wars and not weapons. This is the opposite of imperialist countries where the social dimension has been ignored, which creates apathetic soldiers who don’t understand why they are fighting. In the DPRK every soldier knows that he is helping to defend the DPRK and socialism against the hated US imperialist enemy. Finally, the KPA has shown it’s self to be extremely competent in the technological dimension. This is demonstrated by the vast array of weapons the KPA possesses, including H bombs. The KPA has shown that by pursuing the correct strategy within a Juche based society any imperialist enemy can be defeated. The Korean people’s army is a true Juche orientated revolutionary armed force and is the army of the party, the working class and the leader. Under the wise leadership of Marshal Kim Jong Un the Korean people’s army will advance to further victories and will continue to be the central pillar of the revolution. So we Juche idea and Songun idea followers in the UK salute the great achievements of the heroic Korean People's Army under the command of marshal Kim Jong Un on the 84th anniversary of its foundation. DPRK FM Spokesman Slams "Nuclear Security Summit"